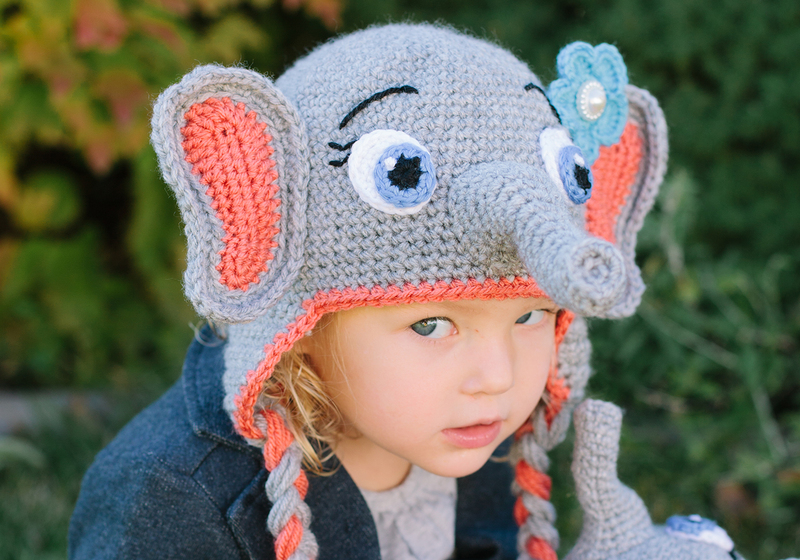 This elephant hat pattern is great for creating a cute photo prop or adorable winter hat! It also is a great way to top off a Halloween costume! With these detailed instructions, even those with little crochet experience can find success creating their own masterpieces! 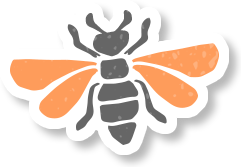 Skills: Chain, single crochet, double crochet, half double crochet, slip stitch, working in rounds, working in back loop only and front loop only, increasing, decreasing & basic sewing. 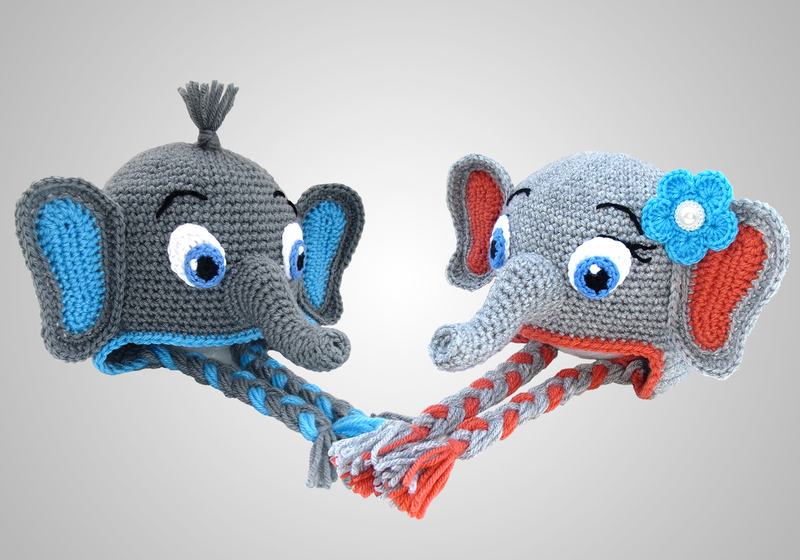 Vanna’s Choice Yarn- For the main color of both the boy and girl elephant hat you will need 1 ball. For the accent color you will need less than 1 ball. Due to the nature of this item, no refunds will be given. If you have any questions I would be happy to help and my email is listed on the pattern. 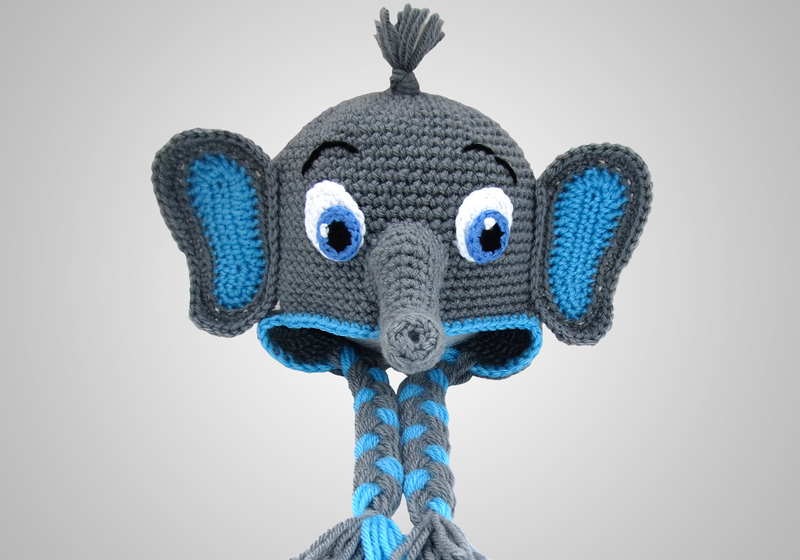 In addition to this elephant hat pattern, I have the matching lovey pattern in my shop if you want to complete your set!